Since the brand’s inception 20 years ago, Rationale has provided Australia’s leading skin-doctors with long-term, scientific skin-care solutions that deliver on their promises. Rationale products actualise the natural and genetic potential of skin, employing skin-identical ingredients and Isotropic technology to deliver our trademark luminosity. Good reasons why Rationale has become – and remains – the preferred cosmeceutical brand of Australian Dermatologists, Plastic Surgeons and Cosmetic Doctors. The cornerstone of the Rationale range is Essential Six; a proven skincare regime comprising all of the essential vitamins, minerals and botanicals that Dermatologists agree your skin needs for maximum vitality and luminosity. The Essential Six products work in synergy, delivering the perfect combination of active ingredients at the correct concentration to be recognised and utilised by skin cells to achieve unprecedented results. The system is simple: 3 steps in the morning and 3 steps at night for complete skin protection and repair – sensational skin in just 6 steps – for all skin types. 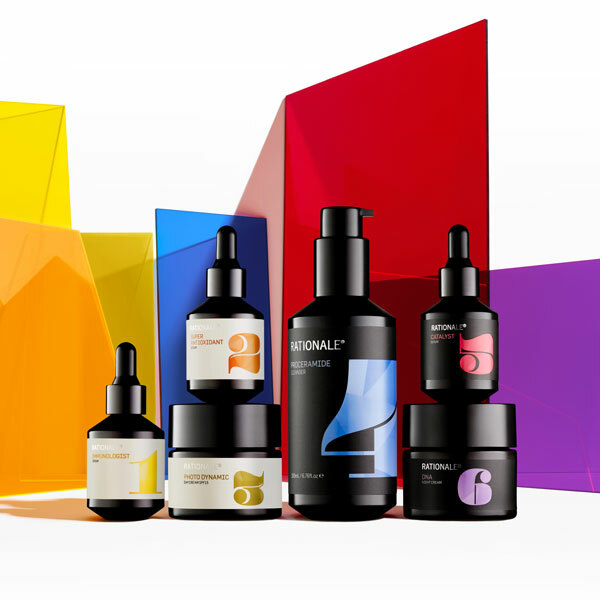 The entire Rationale range, from the iconic Essential Six to the new range of super-luxe Hydrators and Specialist Products are 100% Isotropic. Formulations as luxurious as they are powerful. Buy your Rationale Products at your next visit. To talk about how we can help you select the correct Rationale products for you, call us on 02 4954 5044 or visit our clinic.